In Chinatown, Chicago the soup dumplings are great and the pork buns are even better. But one thing that could use a little work? Chinatown storage. Self-storage units are one option, but considering how much you’re going to spend on gas, boxes, and packing supplies, it’s a lot more expensive than you’d expect. Good thing MakeSpace exists. You see, with MakeSpace, you know exactly what you’re paying for — stellar full-service Chinatown storage that comes to you. 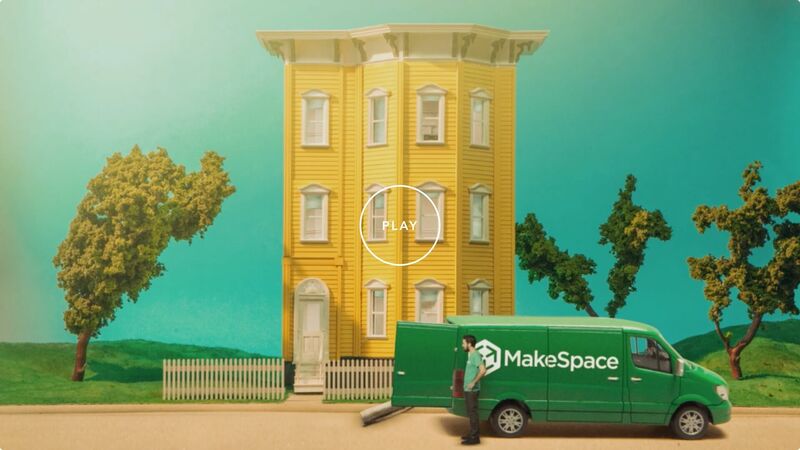 With MakeSpace, the only thing you have to do is schedule a pickup and pack your stuff. Seriously. We'll pick up your stuff, store it in our secure and temperature-controlled storage facility, and create an online photo catalog of everything. That way, you always remember what you have in storage. The best part? When you need something back from storage, you don't have to visit a storage unit. We'll deliver it to you. With self-storage, you have extra nothing. With MakeSpace, you have extra time and money to spend on the things you want, like that dry chili chicken at Lao Sze Chuan. 1. Schedule a storage pickup. 2. Pack your stuff. 3. Relax, we'll take care of everything else. "MakeSpace was a lifesaver for me! I am terrified of moving as I consider it to be one of the most stressful activities in life... On top of that, I cannot drive so I was looking for a moving/storage solution that would make my move as easy as possible without having to drive to storage places. MakeSpace was the perfect solution." "I wish I discovered MakeSpace sooner! We had quite a few things to send to storage while transitioning to a new place, and the team made the process so easy. They provided free bins prior to pick up, which was helpful. Unlike most storage companies, they picked up everything, making it a super stress free experience." "The day of my move was seamless and easy. MakeSpace is an amazing service - movers and storage?! What more could you ask for? After researching all possibilities (different storage facilities, movers, etc.) MakeSpace was the best, most affordable option."